Welcome to Saxton Bampfylde’s latest review of People Moves in the international development and humanitarian sector in the past year. Clearly it has been a period of extraordinary change. Beyond the strategic and operational challenges facing organisations seeking to maintain momentum to the SDGs or addressing burgeoning civil and environmental crises, the wider geopolitical climate and legacies of past failures have placed extraordinary pressure on leadership in the sector. Critical factors expected of sector leaders: strategic vision, breadth of general management capability, effective group leadership, innovation and capacity to deliver, have never been more clearly matched by the need for outstanding personal resilience. Yet, in a sector, hallmarked by resource constraints, the capacity of organisations to provide effective, ongoing leadership development to their current and future leaders rather than intermittent interventions, has been muted. As the demands on leadership in terms of skills, experience and character increase, the consequences of this structural issue for the sector are worrying and require a fresh look by interested public, civil society and commercial leaders. Also in September 2017, the President of France, Emmanuel Macron, appointed the Bank’s Vanessa Moungar, the African Development Bank’s Director for Gender, Women and Civil Society, to his Presidential Council for Africa. Moungar and 10 other members of the elite group (mostly entrepreneurs, scientists and innovators) have been appointed to advise Macron on his African policy. Then in January the appointment of Kelly Bird as ADB’s new Country Director for the Philippines was announced. Bird will lead ADB operations in the Philippines and supervise the effective implementation of ADB’s Country Operations Business Plan 2018-2020 and the Country Partnership Strategy 2018-2022. CDC Group plc, the UK’s development finance institution, made two high-level appointments in February 2018. 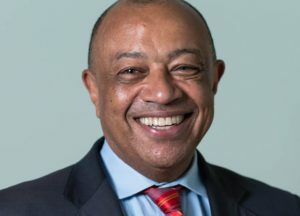 Tenbite Ermias was announced as CDC’s new Head of Africa, responsible for leading the development of all CDC’s business in the continent. CDC currently invests in over 650 African companies, providing long-term capital and support for growth and job creation. Ermias is an experienced management consultant having worked in global roles from South Africa to the US, and the UAE to Kenya. He joins CDC from McKinsey where he has been a Partner for three years, prior to which he was with the Boston Consulting Group for over thirteen years. Chris Coles was also announced as CDC’s new Chief Investment Officer, a role which will focus on overseeing CDC’s overall investment strategy, the financial performance of its portfolio and the allocation of capital across CDC’s target geographies of Africa and South Asia. He will chair CDC’s Investment Committees and sit on CDC’s Executive Committee. Chris has over 25 years of investment experience and joins CDC from Actis, where his previous roles included Chairman of the Executive Committee, Chief Operating Officer and a Board Director of Actis LLP. Chris replaces Frances Reid, who takes on a new role at CDC as Managing Director, covering Investment Risk, Policy, and Analytics. The European Bank for Reconstruction and Development (EBRD) announced the appointment of Jürgen Rigterink as its next First Vice President, following the retirement of Phil Bennett. As First Vice-President, Rigterink will lead the Bank’s Client Services Group, which includes responsibility for the EBRD’s banking operations, policy, reform dialogue and partnerships. 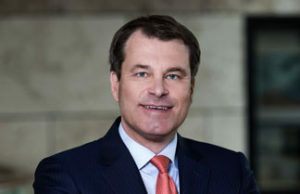 A German national, Rigterink is currently the CEO and Chairman of the Management Board of FMO, the Dutch Development Bank. Before his time at FMO, he worked in the private sector at ABN AMRO where he ran the company’s activities in Kazakhstan and held a number of senior positions including Sector Head of Central and Eastern Europe, Middle East and Africa (Dec). In February 2018, the EIB announced the appointment of Marjut Santoni as Chief Executive. A Finnish national, she began her career at Dresdner Bank before joining the Directorate-General for Economic and Financial Affairs at the European Commission in 1996. She held various roles in the field of SME and infrastructure financing until 2013 and was also advisor to the European Commission’s representatives on the Board of Directors of the European Investment Fund (EIF), part of the EIB Group, from 2001 until 2007. From 2013 to 2015, she was Deputy Chief Executive of the EIF, before being appointed to the position of Deputy Secretary General of the EIB in September 2015. In June, Emma Navarro was appointed Vice-President and Member of the Management Committee of the EIB. Navarro has been General Secretary of the Treasury and Financial Policy in Spain and Member of the Bank of Spain Governing Council and Board Member of the Spanish National Securities Market Commission. Prior to this, she had been President of Instituto de Crédito Oficial (ICO), Director of the Office of the Minister for Economic Affairs, Industry and Competitiveness and advisor at the International Monetary Fund. Previously, Emma Navarro held various positions in the public sector in Spain. In September 2017, a High Level Advisory Board on Mediation was established to provide the UN Secretary General with advice on mediation initiatives and back specific mediation efforts around the world. The Board is composed of 18 current and former global leaders, senior officials and renowned experts who bring together an unparalleled range of experience, skills, knowledge and contacts. The Right Reverend Justin Welby, Archbishop of Canterbury and leader of the Anglican Communion, is one of those to be appointed. 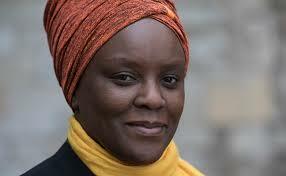 In the New Year, Bience Gawanas was appointed UN Special Adviser on Africa. Gawanas has served as Special Adviser to the Minister of Poverty Eradication and Social Welfare, Namibia. Prior to this, she was Special Adviser to the Minister of Health and Social Services. 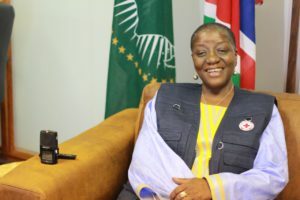 A champion of women’s health and rights in Africa, she has been commended for her role in initiating far-reaching campaigns such as the continental Campaign on Accelerated Reduction of Maternal Mortality in Africa. Gunilla Carlsson was appointed UNAIDS Deputy Executive Director, Management and Governance, and Assistant Secretary-General of the United Nations in December. 2017 Carlsson served as an elected member of the Swedish Parliament from 2002 to 2013 and as Minister for International Development Cooperation from 2006 to 2013. 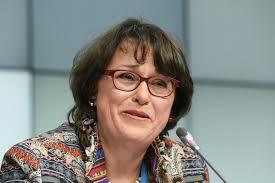 She also served as an elected member of the European Parliament from 1995 to 2002. Carlsson was a member of the UNAIDS and Lancet Commission: Defeating AIDS—Advancing Global Health and a member of the World Bank Gender Advisory Council and served on the United Nations High-Level Panel on the Post-2015 Development Agenda. Currently, she is a senior adviser to the African Development Bank and serves on the board of Gavi, the Vaccine Alliance, as Vice-Chair. Carlsson assumed her new role in early 2018, succeeding Jan Beagle, who was appointed United Nations Under-Secretary-General for Management in June 2017. In June 2018, Ulrika Modéer of Sweden was announced as Director of the Bureau for External Relations and Advocacy, United Nations Development Programme (UNDP). Modéer served as State Secretary for International Development Cooperation and Climate and was instrumental in reshaping Sweden’s international development cooperation to support the achievement of the 2030 Agenda. In May it was announced that Joyce Msuya of Tanzania would become the next Deputy Executive Director of the United Nations Environment Programme in Nairobi, Kenya. Msuya has since 2017 served as Adviser to the World Bank Vice President, East Asia and Pacific Region in Washington, D.C. She brings to the position more than 20 years of extensive experience in the field of international development spanning corporate, strategy, operations, knowledge management and partnerships, with diverse assignments in Africa, Latin America and Asia regions. Natalia Kanem of Panama was announced as the Fund’s new Executive Director in October 2017. She brings to the position more than 30 years of strategic leadership experience in the fields of medicine, public and reproductive health, peace, social justice, and philanthropy. 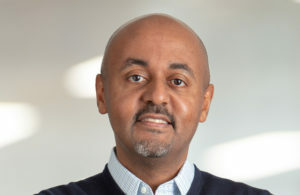 Dereje Wordofa of Ethiopia was subsequently announced as Kanem’s successor as Deputy Executive Director (Feb). In April 2018, it was confirmed that Bola Adesola of Nigeria, Chief Executive Officer and Managing Director of Standard Chartered Nigeria, and Paul Polman of the Netherlands, Chief Executive Officer of Unilever, will serve as the two Vice-Chairs of the Board of the United Nations Global Compact, the world’s largest corporate sustainability initiative. Adesola and Polman succeed out-going United Nations Global Compact Board Vice-Chair, Sir Mark Moody-Stuart, former Chairman of Royal Dutch/Shell Group of Companies and of Anglo American plc. Maimunah Mohd Sharif of Malaysia was elected as Executive Director of the United Nations Human Settlements Programme (UN Habitat) (Dec). Henrietta Fore of the United States was announced as the Fund’s new Executive Director in December 2017. 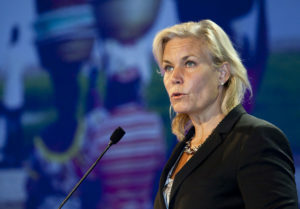 Immediately prior to her appointment with UNICEF, Fore was Chairman of the Board and Chief Executive Officer of Holsman International, a manufacturing and investment company. She also served on the boards of a number of domestic and international public corporations, including as Global Co-Chair of the Asia Society, Chair of the Middle East Investment Initiative, and Co-Chair of WomenCorporateDirectors. She also served on the boards of the Center for Strategic and International Studies (CSIS), the Aspen Institute, the Committee Encouraging Corporate Philanthropy (CECP) and the Center for Global Development (CGD). 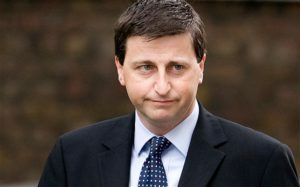 Then in June of this year, Douglas Alexander, former Secretary of State for International Development and UK Governor to the World Bank, was appointed as Chair of the Board of Trustees of Unicef UK. Alexander will take over from current Chair, Ilse Howling, who will complete her final term on the Board this summer. Alexander served for eighteen years in the British Parliament and nine years in Government under Prime Ministers Gordon Brown and Tony Blair. As well as serving as the UK Governor to the World Bank he held various cabinet positions including Secretary of State at DFID. Alexander is now a Senior Fellow at Harvard University, a Visiting Professor at Kings College London, and a Trustee for the Royal United Services Institute. Valerie Guarnieri of the United States was appointed as Assistant Executive Director, Operations Services at the Assistant Secretary-General level in November. Then in March of this year, it was announced that Tim Hunter would be moving from Oxfam to the WFP. Hunter had been Director of Fundraising at Oxfam since April 2014 and takes up his new role of Deputy Director with responsibility for private sector partnerships in Rome. Newly-appointed World Health Organization Director-General Tedros Adhanom Ghebreyesus made a series of key appointments in October 2017, starting with the announcement of his senior leadership team, which was widely praised by the global health community for its gender balance and geographic diversity. Sania Nishtar was selected to chair the newly established high-level commission on non-communicable diseases. President Tabare Vasquez of Uruguay will co-chair the high-level commission. In April 2018, the appointment of Pinelopi Koujianou Goldberg, Elihu Professor of Economics at Yale University, as World Bank Group Chief Economist was announced. Goldberg, a Greek and US national, brings an impressive track record as a leading applied microeconomist, widely cited for her research on developing countries. 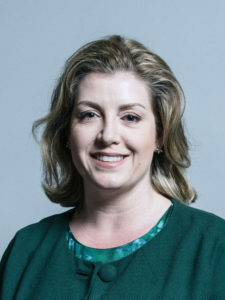 Following the resignation of Priti Patel as UK Secretary of State for International Development, Penny Mordaunt was appointed as her successor in November 2017. Mordaunt worked as an aid worker in post-revolutionary Romania before and during university. She was director of communications at Kensington & Chelsea Council and the Freight Transport Association and a director of Diabetes UK, the Community Fund and the Big Lottery Fund. Penny then worked for Conservative Central Office, becoming Head of Broadcasting under William Hague. In 2000 she served as Head of Foreign Press for George W. Bush’s presidential election campaign. In 2010 she was elected Conservative MP for Portsmouth North. In Parliament, Penny served on the European Scrutiny Committee, Defence Select Committee, and as chairman of the APPGs for Life Science and for Ageing & Older People. In 2013 she was appointed Parliamentary Private Secretary to the Secretary of State for Defence, Rt Hon. Philip Hammond MP. She served as Minister of State for the Armed Forces from May 2015 until July 2016. She was Minister of State for Department for Work and Pensions from July 2016 to November 2017. There was further change at DFID early in the New Year when Matthew Rycroft took over as Permanent Secretary. Most recently the UK’s permanent representative to the UN, Rycroft’s background represents a departure from his predecessors. His time with the FCO dates back to 1989, marked by diplomatic stints in the British Embassy in the United States and as ambassador to Bosnia and Herzegovina. Rycroft also served as private secretary to former Prime Minister Tony Blair, advising him on foreign policy, the European Union and defence. Rycroft then served as EU director and chief operating officer of the FCO, before being appointed as the UK’s permanent representative to the U.N. in 2015. In June 2018, the Board of ActionAid Nigeria announced the appointment of Dr. Jummai Umar-Ajijola as its new Chair. Umar-Ajijola succeeds Prof. Patricia Donli, the outgoing Board Chair who has retired to join AAN General Assembly after serving for 6 years. At ActionAid UK, Orla Fee joined as Director of Communications and Public Engagement in January. She was previously head of corporate communications at the membership body the Royal College of Physicians. In March, the UK executive team was further bolstered by the appointment of Edward Tait, from Crisis, as Director of Fundraising. Jehangir Malik, Chief Executive of Muslim Aid, was appointed as trustee of ACEVO in December 2017. ADD announced in November 2017 that Andrew Kudakwashe (AK) Dube, Chief Executive of the African Disability Alliance, had been appointed as its next Chair. Dube joins ADD at a critical moment for the disability movement, bringing with him a wealth of vibrant leadership and activist experience. Age International appointed Ann Keeling as the new Chair of its trustee board, replacing Dianne Jeffrey at the end of her term . Keeling has over three decades worth of experience working in international development and has worked for charities, UN agencies and DFID. 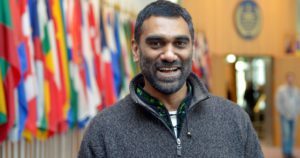 Amnesty International has appointed Kumi Naidoo as the next Secretary General of the global human rights movement. 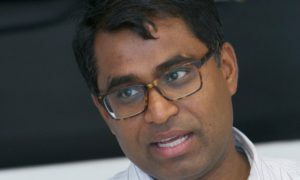 From August 2018 Naidoo succeeds Salil Shetty, who served two terms as Secretary General from 2010. Naidoo is an activist and civil society leader. His previous leadership roles include Executive Director of Greenpeace International, Chair of the Global Call for Climate Action, Founding Chair of the Global Call to Action against Poverty and Secretary General and CEO of CIVICUS, the World Alliance for Citizen Participation. He currently chairs three start-up organisations in his home country of South Africa: Africans Rising for Justice, Peace and Dignity; the Campaign for a Just Energy Future; and the Global Climate Finance Campaign. Ben Crosland was appointed Senior Communications Officer, UK & Nordics, at the Bill & Melinda Gates Foundation in April. He joins from the Bank of England, where he was senior manager, engagement and communications. In September 2017, Caroline Nursey was elected as Chair of Bond for a one-year term. Since 2009 Nursey has been Executive Director of BBC Media Action, the BBC’s independent international development charity. Nursey spent the previous seven years at Oxfam GB, where she held several Director-level roles both in the UK and in the field. She began her career in education working as a teacher for VSO in Ghana, Tanzania and the UK with the World University Service and in 2014 was awarded the Order of the British Empire (OBE). Subsequently, in December, two new Trustees were elected to Bond’s board: Paul Smith Lomas, international director at Practical Action, and Catherine David, head of innovation and business services at the Fairtrade Foundation. In May of this year, Paul Amadi was appointed Chief Supporter Officer at the British Red Cross. Amadi’s role is a newly created one at the charity, and he will be responsible for leading on income generation as well as wider supporter engagement for the charity. Amadi was most recently Executive Director of Fundraising and Engagement at the MS Society. Prior to that he was Director of Fundraising at both Diabetes UK and the NSPCC. He has also served as chair of the Institute of Fundraising, and is a founding member of the Black Fundraisers Network. The Director of Catholic aid charity CAFOD, Chris Bain, announced that he will retire from the organisation in December 2018. Bain has led the organisation for 15 years and is also currently a trustee of the Disasters Emergency Committee. Christian Aid announced in January that Amanda Khozi Mukwashi would be its next Chief Executive, taking over in mid-April. She succeeds Loretta Minghella who joined the Church Commissioners in November 2017. Comic Relief appointed Mel Crawford as its new Head of Creative for Red Nose Day and Comic Relief in May. Crawford’s previous roles include working as a development executive and director on pilots and first series of shows including Deal or No Deal, Secret Eaters and One Born Every Minute. Fergus Drake was announced as Crown Agents’ next Chief Executive in summer 2017. Drake brings two decades of experience working in commercial and managerial roles and most recently led the global programmes of Save the Children UK. Prior to this he worked for the professional services firm Deloitte, including time on secondment in the UK Treasury, as well as the Tony Blair Africa Governance Initiative in Rwanda. In September 2018, it was announced that Sue Inglish had been appointed as the new Chair of the Board of Trustees for the Disasters Emergency Committee (DEC). A broadcast journalist, Inglish will be taking over the role from incumbent chair Clive Jones in November. Inglish was previously the head of BBC political programmes, analysis and research until 2015. She is a governor of the Westminster Foundation for Democracy and is chair of the International News Safety Institute. At the executive level, Simon Beresford was appointed the DEC’s Director of Fundraising and Marketing in May. He takes over in the role from Adil Husseini and joins from Methodist relief charity All We Can, where he was head of fundraising and marketing for four years. He is also a trustee for the national children’s charity Spurgeons and is the founder and co-chair of the public fundraising group of Bond. Former Trade Minister and Managing Director of Waitrose, Lord Price, was announced as the new Chair of Fairtrade Foundation’s Board of Trustees (April). In a move that will bolster Fairtrade’s future development, Lord Price takes over the position in September 2018 from current Chair Michael Jary. 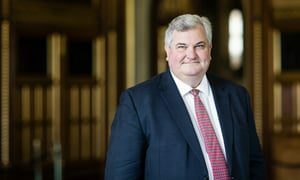 A keen champion of fairness within the workplace, Lord Price will bring his vision and experience of British retail to the organisation as it continues to champion fair trade for farmers and workers. In September 2018, it was announced that Dr Tamsyn Barton, former Chief Executive of BOND was the government’s preferred candidate for the role of Chief Commissioner. Before BOND, Barton held senior roles at DFID and the EIB. Dr Kori Schake was appointed Deputy Director General at the International Institute for Strategic Studies. She was previously a research fellow at Stanford University’s Hoover Institution. In August 2018, International Alert announced the appointment of a new Chair and three new Trustees. Carey Cavanaugh, a retired US ambassador who is now a professor of diplomacy and conflict resolution at the University of Kentucky, has been named as Chair. Hans Bolscher, a climate change adviser, has joined the board and also become the chair of International Alert Europe. Abir Haj Ibrahim, a co-founder of a network of social activists in Syria, and Erin Segilia Chase, who has over 25 years’ experience in philanthropy, have also joined the board. The Duke of York was announced as a new patron of Malaria No More UK (April). He joins other high-profile supporters of the charity, including Andy Murray and David Beckham. In November 2017, Karen Brown, formerly Chair of Oxfam GB, was also appointed Chair of the trustee board of the Mines Advisory Group. MAG is involved in critical work across 40 countries assisting people affected by landmines, unexploded ordnance, and small arms and light weapons. Marie Stopes International appointed Suzanna Taverne as the new Chair of its Board of Trustees (January). She has worked as finance director at the Independent, director of strategy at education publishing company Pearson and was managing director at the British Library. She has also held numerous charity board roles, including with Age UK, The Design Museum and was previously Chair of Gingerbread. She also recently stepped down as a trustee of the BBC. Oxfam GB announced in September 2018 that Dhananjayan Sriskandarajah would succeed Mark Goldring as CEO by the end of the year. Sriskandarajah is currently Secretary General and Chief Executive of CIVICUS, which he joined in 2013. He was previously Director General of the Royal Commonwealth Society. 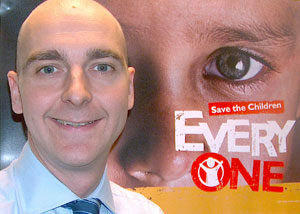 Over the summer Oxfam GB had also announced the appointment of Steve Kingstone as Communications Director. He was previously the Queen’s media secretary, having joined the palace in 2013 after a career at BBC News as an international correspondent. Sir Ian Diamond was announced as the new Chair of Plan International UK. Diamond is currently the Principal and Vice Chancellor of the University of Aberdeen and also the Chair of British Universities and Colleges Sport, Chair of the Edinburgh College of Further Education and a board member of UK Research and Innovation. Diamond replaces current Chair Lady Amanda Ellingworth, who joined the board in 2016. Ellingworth is moving on to become a board member of Plan International and will remain on the UK organisation’s board. In November 2017, Reach to Teach, the UK based educational charity operating in remote communities in India, announced the appointment of Stephen Cutts as its next CEO. Prior to joining Reach to Teach, Cutts was Assistant Secretary-General at the United Nations, responsible for a wide-ranging global portfolio, including procurement and property management. Before that, he was Assistant Secretary-General for the Commonwealth Secretariat. He has also held senior positions within the OECD, including Chef de Cabinet and Deputy Executive Director. Restless Development appointed Perry Maddox as its new Chief Executive. Maddox was previously the organisation’s COO. He brings 15 years’ experience working in the youth and community development sectors. He succeeds outgoing chief executive Nik Hartley and took up his new role in February 2018. Save the Children appointed Mark Ballard as its new Head of Scotland in November 2017. Most recently, Ballard worked at Chest Heart and Stroke Scotland as Director of Strategy and has spent most of his working life in the Scottish charity sector. Also in November 2017, Sightsavers appointed three new Trustees: Professor Christopher Whitty, Abia Akram and Mavis Owusu-Gyamfi. Alison Wallace was appointed Chief Executive of SOS Children’s Villages UK in March. Wallace, a former Chief Executive of the disaster relief charity ShelterBox, most recently held the same role at the European Council on Foreign Relations. In May of this year, Anna Laszlo was announced as the Board’s new Chair. Laszlo joins Tearfund’s board having spent the last three years as chair of World Vision UK’s board. She has worked as a civil servant for 14 years with DFID and the FCO. Laszlo takes up her new role in September, replacing current chair Clive Mather. In August 2018, Nigel Gavin was appointed Finance and IT Director. He joins from Save the Children where he was Director of Financial Governance. Lord Boateng DL PC, former British High Commissioner to South Africa and a Minister in Tony Blair’s Labour government, has been appointed as the new Chair of the Board for WSUP (May). His appointment will support WSUP’s growth plans and enable WSUP to further support cities in developing countries to improve access to vital water and sanitation services. Lord Boateng takes over from Will Day, Fellow at the Cambridge Institute for Sustainability Leadership and Sustainability Advisor to PwC, who has guided the organisation for more than 10 years. In June 2018 Paul Vanags announced he would be taking up a new role at WarChild as Director of Fundraising. Vernags was previously Head of Public Fundraising at Oxfam. In October 2017, WaterAid appointed four new trustees to the Board: Heidi Mottra (Chief Executive, Northumbrian Water Group), Professor Mala Rao (Principal Research Fellow at the Department of Primary Care and Public Health, Imperial College), Manual Alvarinho (Retired President of the Water and Sanitation Regulatory Council of Mozambique), and Heather Skilling (Principal Specialist in WASH at DAI Consulting, Washington). In October 2017 Tony Juniper, one of the UK’s foremost environmentalists, was appointed as executive director for advocacy and campaigns at WWF. International relief and development agency Y Care International appointed Leigh Daynes as its new Chief Executive (May), taking the reins from Acting Chief Executive Tom Burke. Daynes joins from Greater London for the Blind where he was briefly Chief Executive. Prior to that, Daynes was Executive Director of Doctors of the World UK for over five years. He has also held senior policy and campaigning roles at both Plan International and with the British Red Cross. Saxton Bampfylde is driven by our mission to “change the world by changing leaders in interesting and important organisations”. 32 years old, we are a fully employee-owned search firm and pride ourselves on working with some of the world’s most important values driven organisations. Our deep and long-standing experience in international development stretches over 25 years and we have partnered with a wide variety of organisations across the sector, from UNICEF to DFID to DEC, and on a range of roles at both non-executive and executive level, finding some of today’s most influential Chairs, Chief Executives, Trustees, policy-makers, fundraisers – the list goes on. 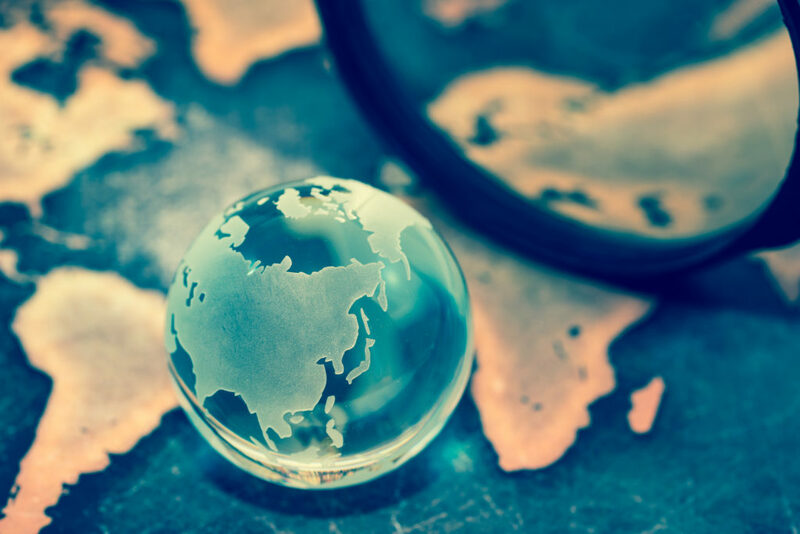 As a founding member of a global alliance of handpicked independent firms through Panorama, we have strength and network across the world of international development and a commitment to its aims.